A dedicated IP address range for GAMER subscribers, allowing our engineers to provide unique features such as custom routing and bandwidth management. A distinct network that is constantly monitored to maintain the low latency and minimum packet loss that is crucial to online gaming. 100% dedicated gaming bandwidth, so lower priority traffic on the GAMER network i.e. downloads like P2P file-sharing does not disrupt your gaming experience. Ultra-fast download speeds for effective downloading of large game files and patches. Live latency reports form our network monitoring tools, available for GAMER subscribers to keep track of at the GAMER Latency Monitoring. If you're on our Gamer plans, you can submit a form for custom routing here! There are 2 methods to find the game server IP. While the game is running, launch Resource Monitor by searching for it in Windows search bar. In Resource Monitor, look for the game name. Click on the game check box and you'll get the server IP. If you're unsure which line is the server IP, take a screenshot and send it to us! 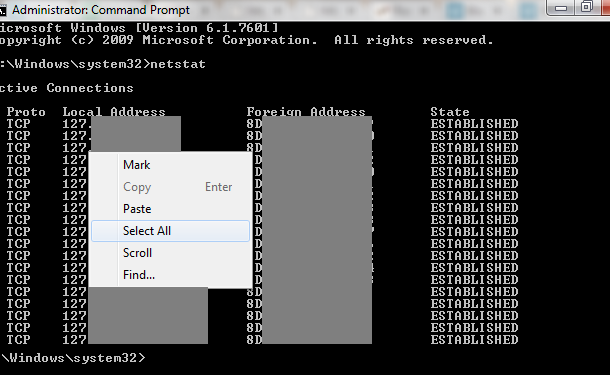 If you're unable to find the game server IP using Resource Monitor, then you'll have to use Command Prompt. 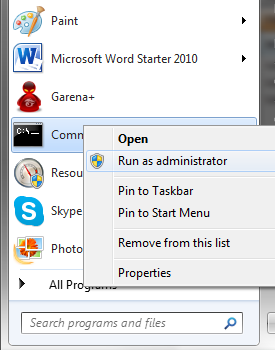 Type "command" in windows search, right click the program and select "Run as administrator". You can copy the results to a clipboard by right-clicking the program, choose "Select All" and press Enter. Include this information in the custom routing request/ email!